Amazon DynamoDB On-Demand: No Capacity Planning and Pay-Per-Request Pricing — Kicking off a long line of AWS related database news this week, it’s exciting to see Amazon’s popular DynamoDB key-value store adopting an on-demand pricing option that avoids the need to provision capacity ahead of time. Amazon Timestream: AWS's Take on the Time Series Database — Amazon Timestream is a new fully managed time series database service for IoT and operational apps that promises to scale up to ‘trillions of events per day’. It’s in preview only for now but pricing is already available. 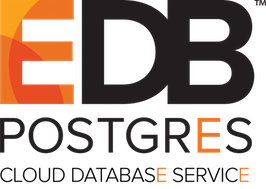 Announcing The EDB Postgres Cloud Database Service Beta — A complete managed service, delivering enterprise-ready EDB Postgres databases on the Amazon Web Services (AWS) Cloud. Neo4j 3.5 Released: The Popular Graph Database — The latest relase now includes full-text search and indexing, plus an official driver for the Go language. AWS To Build You a Data Lake in 'A Few Clicks' — As part of this week’s re:Invent AWS announced Lake Formation, a service for more easily building S3-based data lakes by pulling in data from external sources then cleaning and securing it. Amazon Quantum Ledger Database — Another new service fresh out of AWS’s re:Invent event. QLDB, available only in preview form for now, is a managed ledger database that provides a transparent, immutable, and cryptographically verifiable transaction log. How Adobe Overhauled Legacy Systems with Neo4j — Notes and a talk video on how Adobe planned and executed a transformation from a Cassandra-based architecture to a leaner Neo4j-powered system. How PostgreSQL is More Than a Relational Database, Thanks to Extensions — A brief tour of extensions and how they can make Postgres into much more than a straightforward relational database. TigerGraph Launches Cloud Database on AWS — TigerGraph operates in the AI-based graph analytics space. Amazon Aurora Global Database: Span Multiple Regions with a Single Aurora Database — Global Database is a new feature for the MySQL variant of Aurora that lets a single database span multiple AWS regions with fast replication handled behind the scenes. Global 'DataSphere' to Hit 175 Zettabytes by 2025, IDC Says — The ‘datasphere’ in this case is the total sum of the world’s data. 4 SQL Injection Techniques For Stealing Data — Worth being familiar with so you can avoid these problems yourself. Implicit vs. Explicit SQL Joins — A post that aims to shed some light on the difference between implicit (where you select multiple tables and use a condition to join them) and explicit joins (using SQL’s JOIN clause). ▶ Next Generation MongoDB: A Look at Sessions, Streams, and Transactions — A Java-flavored session of MongoDB and Pivotal engineers showing off newer MongoDB features like sessions, change streams, reactive access and transactions.